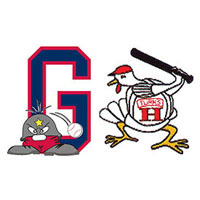 An RBI bunt by Jeremy Taylor brought home the tie-breaking run for Waynesboro in the bottom of the seventh, and the Generals held on from there to post a 5-4 Game 2 win over the Harrisonburg Turks on Thursday. The victory forces a deciding Game 3 in the teams’ Valley League first-round playoff series Friday in Harrisonburg. Harrisonburg had just tied the score with a nerve-wracking four-run rally in the top of the seventh. Kameron Esthay hit a sacrifice fly to get the Turks on the board. Shane Billings followed with a two-run double that made it 4-3 Waynesboro. A Steven McLean RBI groundout tied the score at 4-4, but Generals reliever Jamal Wilson got out of the inning without any further damage. Kevin Phillips led off Waynesboro’s half of the seventh with a walk, then reached second on a wild pitch. A one-out single by Jonathan Camp put runners on the corners, and Taylor followed with the sacrifice that scored Phillips from third. Clayton Taylor was 2-for-4 with a pair of runs batted in for Waynesboro. Jeremy Taylor was 1-for-3 with two RBI. Chris Cook was 2-for-4 with two runs scored, and Phillips was 0-for-1 officially, but he reached base three times on walks, and scored three runs.